I had intended to write this post on Saturday evening and publish it then, but at 7pm I was already in bed, feeling very sorry for myself, and here I am a few days later only now starting to come out the other side of the haze. So it’s taken me a few days longer to write it than expected, but here it is – my story of five fun activities to make a nice family day out with a toddler in Dublin at Christmas-time. If you’re attempting to visit Dublin on a Saturday at this time of year with a toddler, as we were, I suggest getting there early!! Between 9.30 and 10am, people are just starting to arrive into town. There are people around, but it isn’t hectic yet. You can stroll around with relative ease, and enjoy the sights and sounds. 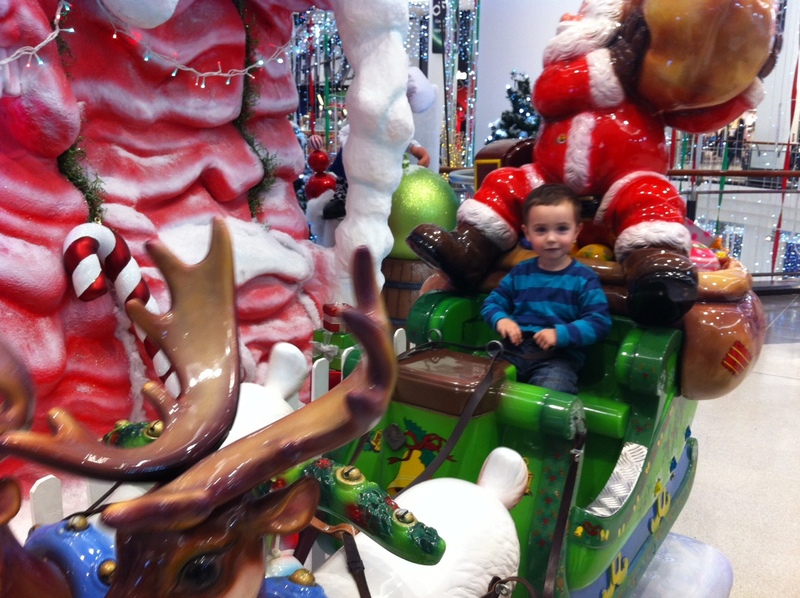 The decorations in the Jervis centre were a big hit with our Little Man. 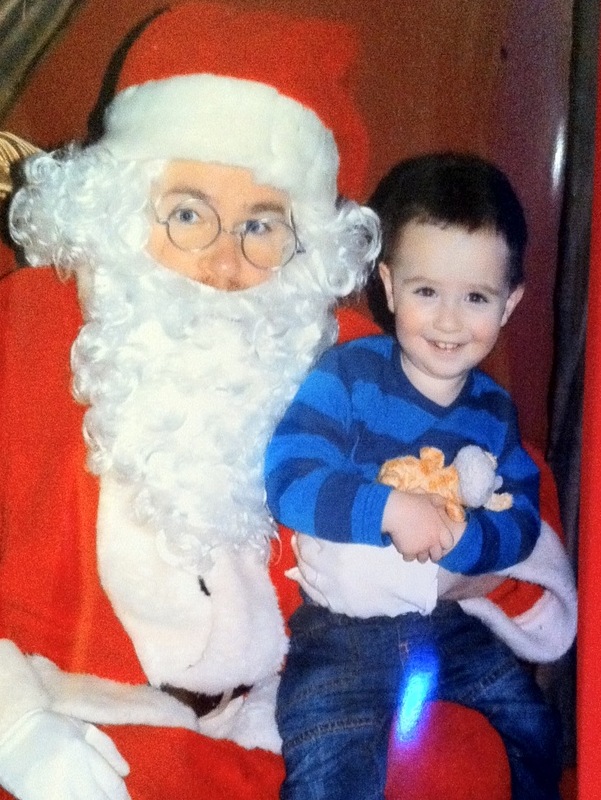 He especially loved the life-sized Santa climbing up and down the rope in the middle of the centre. And of course, he was quite partial to the sleigh-rides on offer around the place as well! 3. Get the Christmas shopping done! What’s the point in going all the way into the city centre if you’re not going to take advantage of the shopping! And don’t be afraid to think outside of the main high street stores for your gifts. We bought some of our nicest gifts in the shop in the National Gallery of Ireland. They have a wonderful selection of children’s books, and arts and crafts gifts and books. When you have small children, eating in city centre restaurants can become an all too distant memory. So pick your favourite restaurant from your pre-baby days (assuming it’s still open!) and do lunch instead of dinner! And as an added bonus, lunch is usually far less expensive than dinner. By the time lunch was finished, so was Little Man. The crowds had swelled and shopping was uncomfortable. It was time for us to leave the shopping district – but not the city. 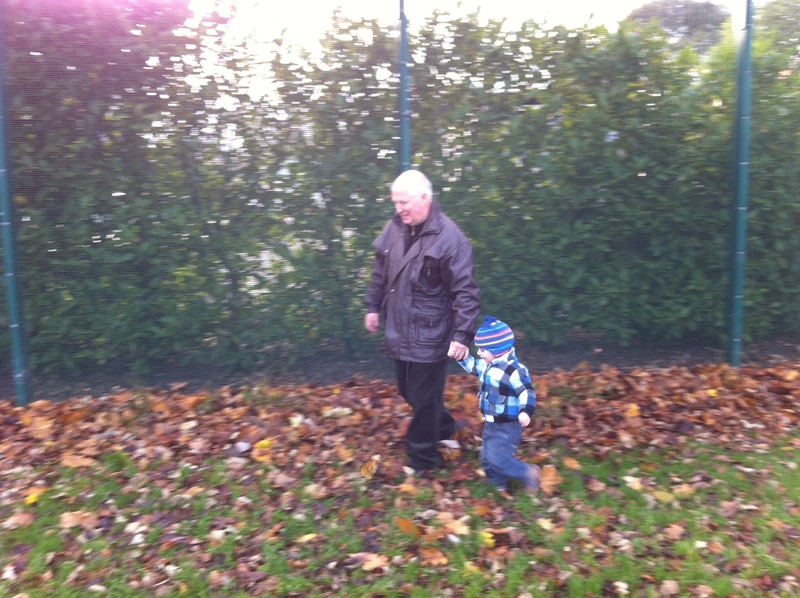 We headed for the Phoenix Park. It is so nice there at this time of the year. On Saturday, the air was crisp, the ground was reasonably dry, and once we were all wrapped up well, we were happy to run around the park kicking up leaves with Little Man. We have yearly membership of the zoo as well, so on a whim, we headed in an hour before it was due to close. Obviously an hour isn’t long enough to see the whole zoo, but I guess that’s the joy of the yearly membership. We visited to Farm, the Reptile House, the South American House, and the Elephants. Little Man’s day was complete, and it was a pretty nice way to round off our day too! What are your recommendations for a family day out at this time of year? It was a lovely day Julie. Just wish I had been well enough to kick up a few leaves myself!